<br>Robert Luff & Co are delighted to offer to market this well presented four bedroom detached family home in the sought after area of Salvington, with local shops, bus routes, Worthing town centre and the seafront all nearby. 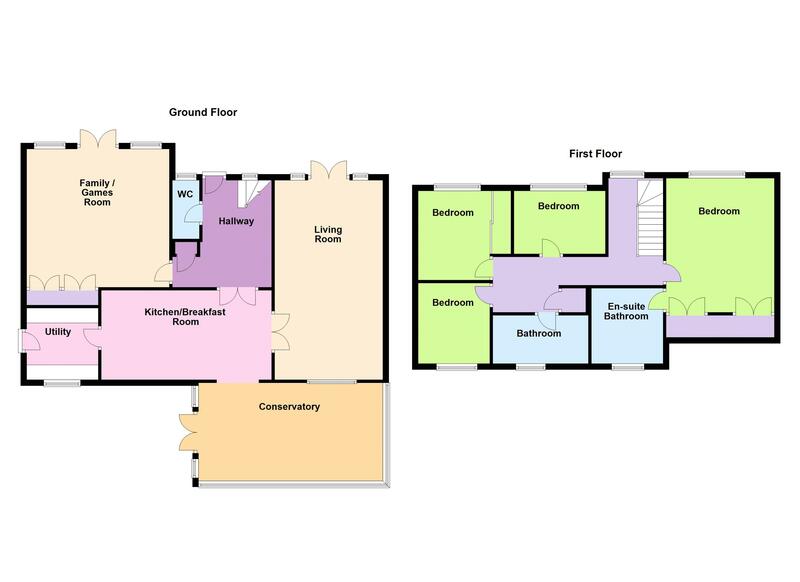 Accommodation offers entrance porch into entrance hall, lounge, kitchen / breakfast room, utility room, conservatory, family / games room, ground floor cloakroom, four bedrooms including master bedroom with en-suite and family bathroom. Other benefits include attractive rear garden and driveway providing off road parking for multiple vehicles with access via a private road. Radiator, built in cupboard and double glazed window. Extensive range of units with solid wood work surfaces, space for range style cooker with extractor over, integrated fridge and breakfast bar, part tiled walls, double glazed window, radiator, opening leading to conservatory. Matching units with solid wood work surface, integrated washing machine, dishwasher and tumble dryer, Integrated freezer and pull out larder, space or additional fridge and freezer, cupboard housing gas fired boiler, double glazed window and double glazed door to the side. Radiator, electric operated roof lights, granite window sills and double doors to the garden. Radiator, built in cupboards, double glazed windows and doors to the front, inset lighting and TV point. Closed coupled w/c, wash hand basin, radiator, additional towel radiator and part tiled walls. Radiator, double glazed window, airing cupboard, access to the loft. Built in wardrobes, radiator and double glazed window. White suite comprising paneled bath with mixer tap and shower attachment, corner shower cubicle, pedestal wash hand basin, close coupled w/c, tiled walls, towel radiator and double glazed window. Built in mirror fronted wardrobes, radiator and double glazed window. White suite comprising paneled bath with shower over, curved glass screen, wash hand basin and closed couple w/c, tiled walls and floor, towel radiator and double glazed window. Laid to lawn with borders. Lawn with flower and shrub borders and shed to rear of garden, patio with lighting.